After a down right frigid November, December has allowed the staff and I to continue work outside on the golf course. 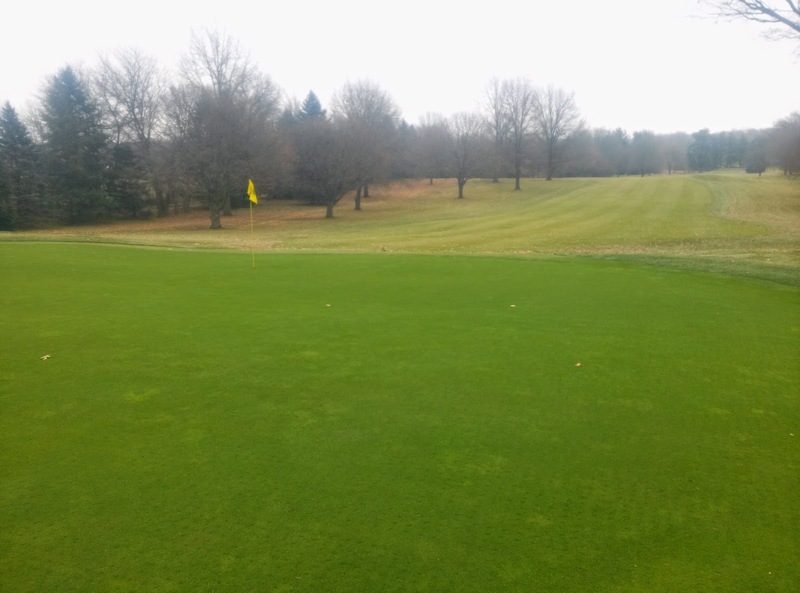 This past weekend welcomed temperatures well into the 50’s, which thawed any frozen soil and allowed a few rounds of golf to be enjoyed on Elcona’s golf course. It gave me a chance to also inspect the turf for any disease development, which I can happily say I did not see any major signs of. I am overall pleased with the condition of the course heading into a sustained winter weather pattern, whenever that may occur. Many of you may have noticed the tree work that has been accomplished within the last few weeks, and may have questions on the reasons why certain trees were removed. 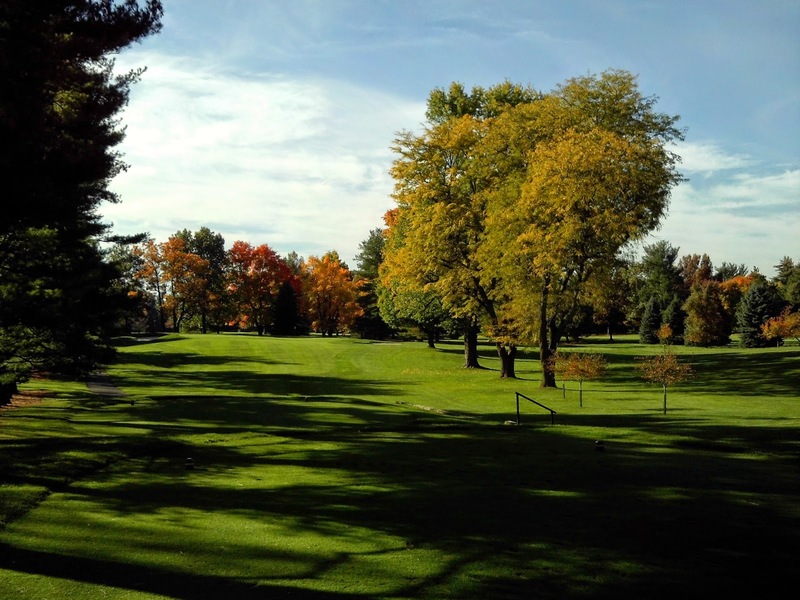 Elcona’s tree removal strategy revolves on continuously improving playing conditions and turf health on the golf course, while maintaining the integrity and playability of each hole. 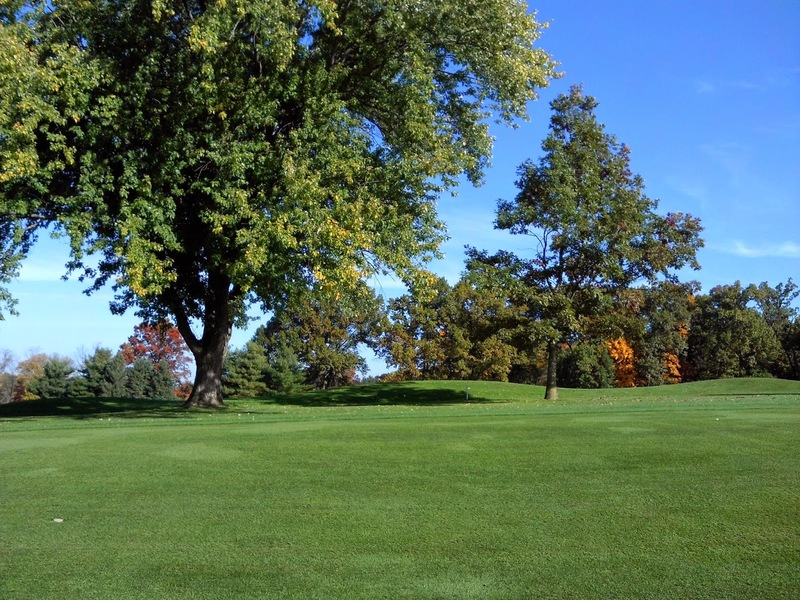 Trees are a tremendous asset to Elcona’s golf course, as long as they are the right tree in the right location. Some trees can be targeted for removal discussion based on their proximity to fairways or greens, their impact on the surrounding turf health (too much shade and nutrient competition), while others are targeted because they are growing into other, more desirable trees. Others are removed for their own failing health or the large amounts of debris and litter they produce. I have identified a couple areas, the reasoning behind their removal, and some before and after pictures. 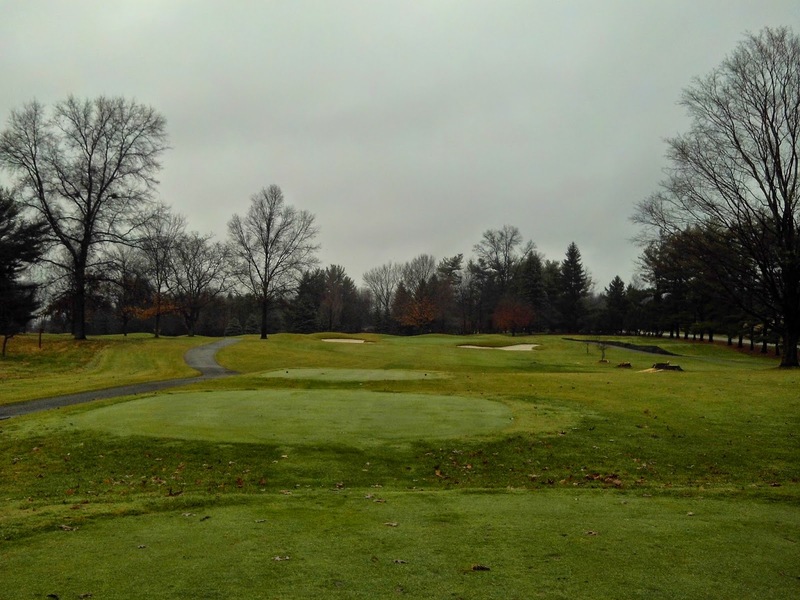 We removed two Silver Maples and two Locust trees between Holes 8 and 11. These trees have noticeably declined over the last few years, and the near annual basis of trimming these trees for playability reasons indicated they were overgrown for this area. The turf underneath this area had to compete with these large trees for moisture, nutrients, and sunlight and at times throughout the growing season struggled. 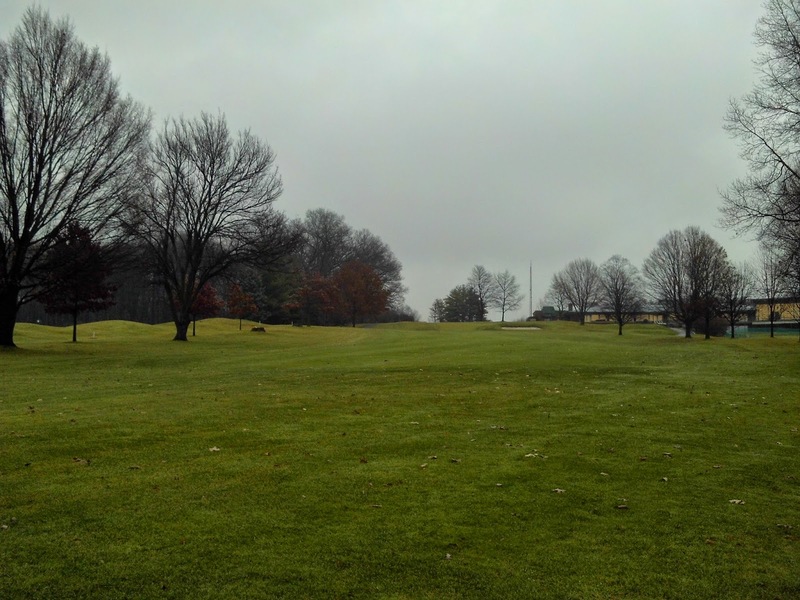 During his visit in Mid-October, Arthur Hills (our current golf course architect) emphasized the need to open the view on these golf holes, and remove these 4 trees. 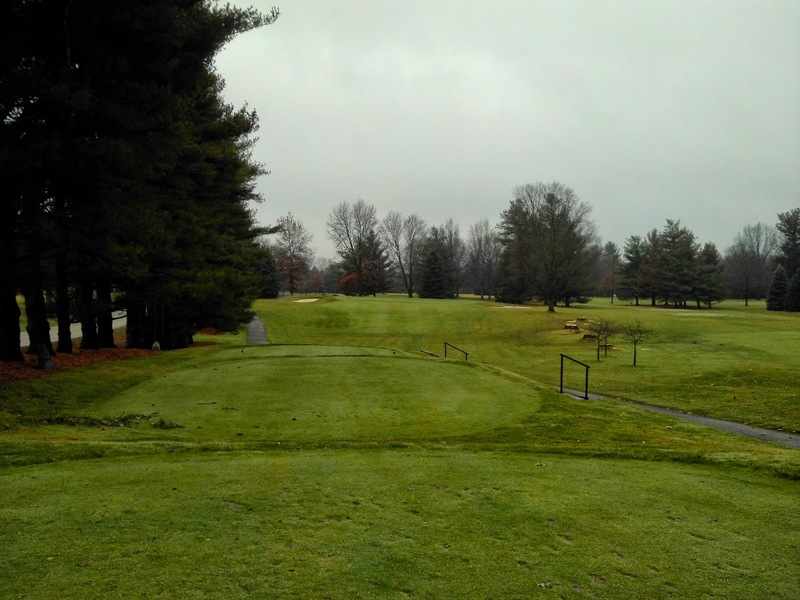 The Silver Maples produced a tremendous amount of leaf and seed litter in the spring as well, and their removal kept consistent with previous tree removal plans ridding the course of these messy trees. The two silver maples and one large red maple has also been removed on the left side of #9, along the out of bounds line bordering the Practice Facility. As the top picture shows, the 5 Burr and Scarlet Oaks that were planted years ago to replace these trees have reached a point in their maturity that the larger Silver Maples have begun to stunt their future growth. These Maple trees also produced a tremendous amount of litter in the fairway and out competed the surrounding turf for water and nutrients. The farthest Silver Maple from the tee boxes was hit by lightning twice in the last 5 years, severely jeopardizing its long term health. Although this removal brings the out of bounds more significantly into play, for the long term health of this area and the more desirable species of tree it was necessary to remove these three trees. We have also been removing several ash trees in the woods near the Halfway House that have succumbed to Emerald Ash Borer. The large Ash behind 1 green has been removed as well. I will keep everyone up to date on our winter progress periodically. Have a safe, happy Holiday Season and a Happy New Year!